Halloween season has come to Pirate101 and with it new spooky themed furniture; two types of webs, rugs and wallpaper. 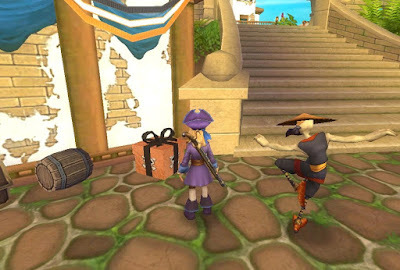 There are even new pets and making its come back the Haunted galleon ship and so much more. I decided to create a haunted cabin in my ship. Looks cool right? Remember those presents??? They now drop gifts!!!!! Anything from gold to pets and even mount rentals!. So check out Halloween in Pirate101 today. Oh and hey the newsletter this month says something about Oct. 15th.